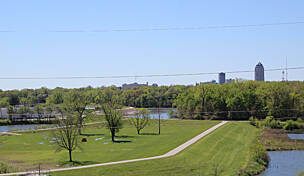 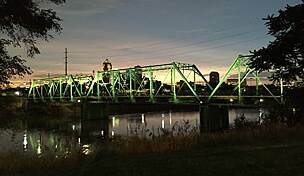 Polk County's Trestle to Trestle Trail stretches from Des Moines to Johnston, one of its northern suburbs. 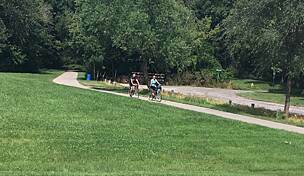 The 3.7 mile asphalt trail, which runs near both heavily-wooded forest and the Des Moines River, has been a crucial link in central Iowa's robust trail network since its opening in 2007. 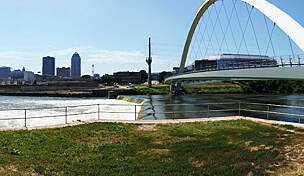 In the Beaverdale neighborhood of Des Moines just south of Euclid Avenue, the aptly-named Trestle to Trestle Trail links with the restored railroad trestle spanning the Des Moines River at the eastern end of the Inter-Urban Trail. 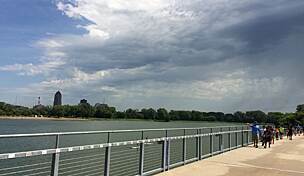 The trestleknown as the Wakonsa Bridge and now decked with concretedates from the early 20th century and offers direct access to the Neal Smith Trail on the opposite banks of the river. 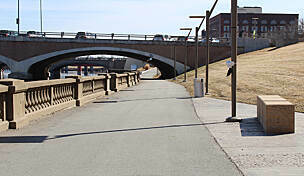 The Trestle to Trestle Trail's second railroad bridge is at the trail's Johnston endpoint just north of its tunnel under Interstate 80/35. 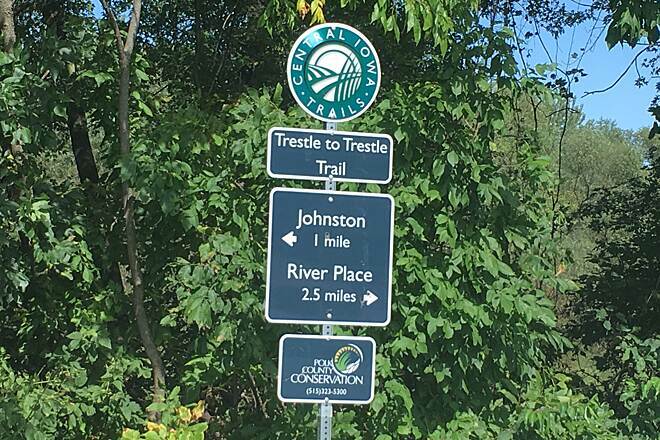 The original trestle crosses Beaver Creek, allowing trail users to connect to Johnston's network of local trails, including the contiguous segment that runs deeper into the heart of Johnston from the Trestle to Trestle Trail's northern endpoint. 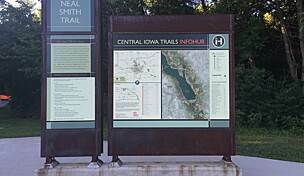 Most of the trail traces the route of the Inter-Urban Railway, which was later reorganized as the Des Moines & Central Iowa Railroad. 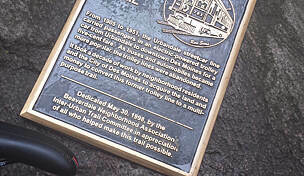 The line was abandoned in the mid-20th century, but fortunately the two trestles and much of the original route was left intact. 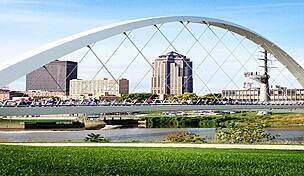 Parking is available at the Polk County administrative complex on Euclid Avenue adjacent to the Des Moines River. 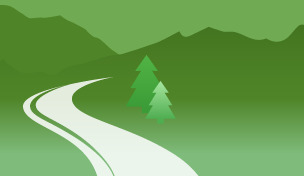 A dedicated parking lot can also be found on Lower Beaver Road to the east of NW Beaver Drive. 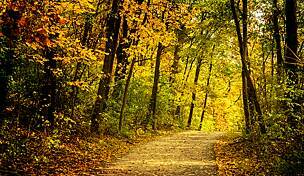 If you are planning on beginning your trek in Johnston, consider parking in one of the many lots on Merle Hay Road or NW 62nd Avenue. 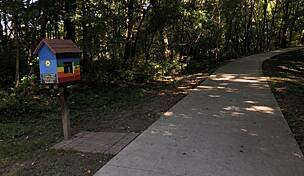 From there, follow the paved local trail until you reach the trestle just north of I-80/35.